Fast pace walking. Honking cars and taxis. Crowded streets. The smell of hot dogs and roasted peanuts fill the air. You try to pass people engulfed in their phones and entranced by the music they are listening to. Many cities sound like this but there is no other place like this one. New York City. New York City is known for many things, such as the Statue of Liberty, Wall Street, and Central Park. If you want to be a tourist you can visit some of my favorite places, Time Square, SoHo and Canal Street, and Dylan's Candy Bar. The lights captivate you as soon as you set foot near Time Square. There are people everywhere and languages from all over the world are being spoken. Some stores have lines outside of them with people waiting to get in and restaurants have over an hour wait but it is all worth every bit of the experience. 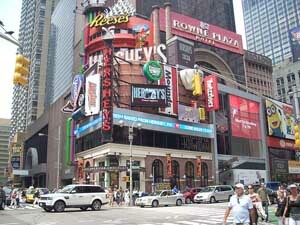 You can find stores like Toys R Us, which has it’s own ferris wheel inside, The Hershey Store, and The M&M Store. You can also find Good Morning America being filmed and shows from MTV. There are many chances to get your face up on the many screens that are plastered on the buildings lining the square. Different characters come up to you as you’re walking to take a picture, but don’t be fooled, they will ask you for a tip. 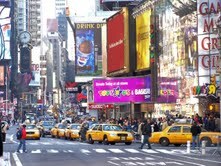 There are many attractions throughout Times Square and you can spend all day there. If you love shopping, SoHo is the right place for you. There are a ton of stores in this area. I like to go to this shopping area because there are stores that we don’t particularly have in my area that I live in so it is a change of taste. 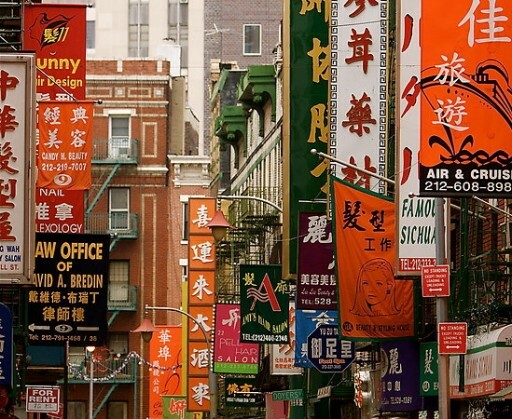 Just down the street though, is Canal Street in Chinatown. This area has a bunch of knock-off purses, scarves, watches, and whatever else you can imagine. You walk into these hole-in-the-wall stores that have bags and accessories packed in. Whoever is working in the store will approach you right away and you have to negotiate for the lowest price you can get on the item. It adds something else to shopping. I don’t leave New York City without stopping in Ralph Lauren’s daughter’s candy story, Dylan’s Candy Bar, located at 1011 3rd Ave and 6, 315 E 62nd St. As you walk in, you hear music playing, and each song has to do with candy. Different candy sits in the floor of the stairs as you walk down to even more of a plethora of candy. You can get different mints and chocolates with your name on the wrapper or package and you can fill a whole bag with your favorite candies. It is a little kid’s dreamland it still gives me the same excitement as I had the first time I walked in there. There are millions and millions of things to do in New York City. If you’re just visiting, you’ll never find yourself bored because there is so much to do. I have just found my favorite things and make sure I try to go to these places every time I travel to the city.